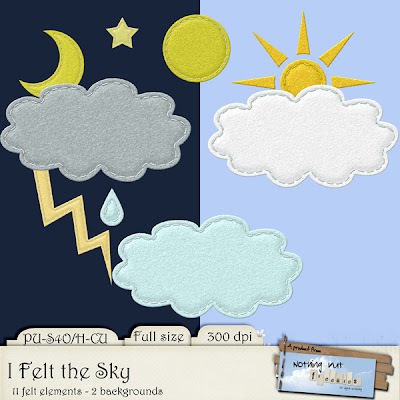 I just noticed that within the last 24 hours Copenhagen has seen all the weather types you can make from this kit! - except the moon, we can't change that (yet). Stay save, happy and rich - at least until my next post ;o) It may be something Easter-ish? Har fulgt dig i smug i flere år, men har nu selv fået en blog (ikke kun scrapbooking men alt muligt) - så jeg ville lige give mig til kende... Du laver mange fine ting og jeg elsker at kigge forbi..
thank you so much for the wonderful mini-kit - weather is doing weird things here too - hot then cold! Thank you so much for this post. I want to let you know that I posted a link to your blog in CBH Digital Scrapbooking Freebies, under the Page 5 post on Apr. 04, 2012. Thanks again.